Wendell Carter Jr., was a good student his season at Duke. But he really went to school once he was injured and out for the rest of his Bulls rookie season in January. And he believes it will lead to an improvement by degrees next season, and perhaps on the way to just about mastering a position in the NBA. 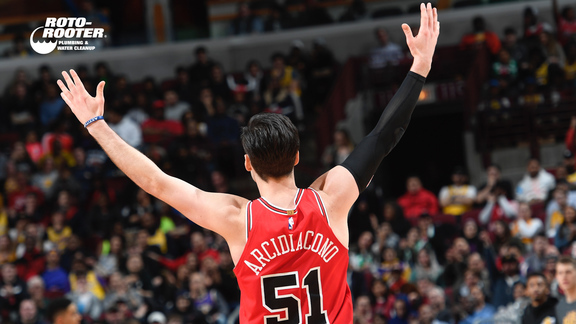 "The season was disappointing, but not a waste exactly," the Bulls first round lottery draft pick said about starting 44 games before requiring surgery on his left thumb. "I learned (watching the rest of the season) the pace isn't as fast as I thought it was. It looked a lot slower from outside. I feel like watching veteran players they know when and where to be positioned and calm. I was able to watch from the sidelines and be able to take in where I can fit in, how I can get my points and get everything I need to get to help my team. "I looked at things I feel where I could score on the offensive end," Carter said. "Being in the game it was kind of hard to see sometimes how I could score. I do have to score. Watching from the sidelines, knowing how certain guys play certain positions, how some of the centers play on the defensive end. Just ways I can get shots up that will be a pretty high percentage for me. I feel like I was on a steady incline, getting more and more of a feel for the game as I kept playing each game. I feel as if I was getting better. Accidents happen and I got injured. But I feel it will help me come back better for next season." Toward that end, Carter said he will play a few games with the Bulls Summer League team to regain his feel for playing against competition in games and then begin preparing for an important next season. "I was able to watch from the sidelines and be able to take in where I can fit in, how I can get my points and get everything I need to get to help my team." - Wendell Carter Jr. When Carter could be a vital component of the Bulls development. Carter was the No. 7 overall selection in the 2018 NBA draft after a season in which he deferred to Marvin Bagley Jr. at Duke following a standout prep career during which he was one of the premier scholar/athletes in the nation. Bagley was late to commit to Duke after it appeared the offense would revolve around Carter. With the 7th pick in the 2018 NBA Draft, the Bulls select Wendell Carter Jr. So Carter played a role in the best interests of the team, which he often did in his rookie season with the Bulls. "It's fair to say I was deferring and not taking shots I felt I could make," Carter admitted in an interview last week. "But I knew I had a lot of great scorers around me and it was important for me, for my teammates, to give them opportunities." Carter averaged 10.3 points, seven rebounds, 1.8 assists and 1.3 blocks in his 44 starts. There were only 13 games he attempted double figure field goals and only three times more than 11. 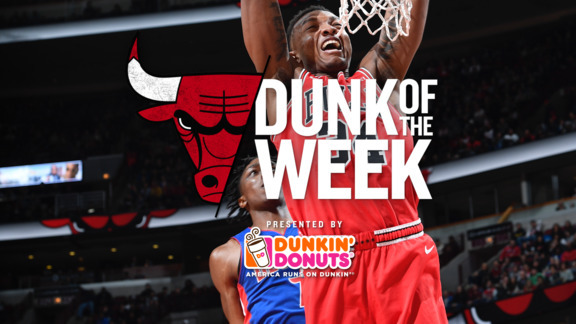 But Carter showed an ability to score, even against some of the top centers with 25 points and eight rebounds against Denver, 28 points and seven rebounds against Detroit and 22 points and six rebounds against Portland. His utility as an NBA center was sometimes questioned against the taller players because he is about 6-10 and not a super athlete, though he has a long reach. But Carter is also confident he can be an interior force in the NBA once he expands his game with more perimeter shooting as an offset to the bigger players who are less mobile. "I feel like I can play four or five, either position," said Carter. "I'm always up for a challenge. People say I'm undersized and something I have to work on. But it doesn't bother me. Honestly, they are not playing the game. I don't worry about about people from the outside looking in. That's how I was built." Carter turned 20 Tuesday and while he may be a bit vertically challenged for NBA center, his width, strength and resolve incorporate the vital elements for NBA interior play. That Carter has a good shooting stroke at a young age bodes well for his ability to provide the kind of versatility at the position the Bulls treasure. And perhaps leading to him becoming a treasure for the franchise. "I'm always up for a challenge. People say I'm undersized and something I have to work on. But it doesn't bother me." - Wendell Carter Jr.
"Something I've learned is that coming into the league it's a whole different scenario; it's a job now," said Carter. "You have to go out and produce numbers every night and produce wins for the team. I feel like that's something I will do, be more dependable on the offensive end, take my shots and be confident. "I'm going to take a little time to spend with family in Atlanta and be back in Chicago the end April or May to start getting ready for next season," Carter said. "Play one or two games in Summer League to get my feel back of playing against actual NBA players and get ready for the season. "It was such a freak accident," Carter said about his January injury merely trying to regain his balance running down court. "But the way I was raised, I feel everything happens for a reason. It did give me a chance to watch the game from the sidelines with a different perspective. I try to always look at all the positives. Of course, I can also be better on the defensive end. I felt I was really good defensively this year and I can be better. I'm going to focus on shooting at all three levels and being aggressive. "Like in that Denver game," said Carter. "That's something I feel like I can normally do. Not so much have 28 or 30 every game, but be able to stretch the floor to help my teammates get better shots and not just rebounding and blocking shots. I feel I can be more effective on the offensive end and it's going to help our team." Carter Jr., Wendell, Bulls, Wendell Carter Jr.